The No. 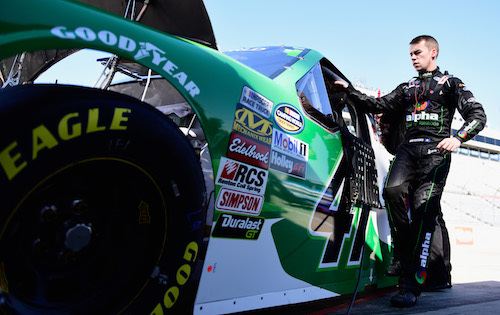 41 ThorSport Racing team of driver Ben Rhodes in the NASCAR Camping World Truck Series lost its final appeal of penalties it was assessed by NASCAR for a rules infraction from the season-opening race at Daytona (Fla.) International Speedway in February. The No. 41 truck didn’t meat height requirements in post-race inspection at Daytona, and as a result, crew chief Eddie Troconis was fined $5,000 and suspended for a race, and Rhodes and the team were docked 10 points. Because of the team’s appeals, Troconis has not yet served his suspension; he’ll do so when the Truck Series races next at Dover (Del.) International Speedway on May 4. After losing an appeal to the National Motorsports Appeals Panel, National Motorsports Final Appeals Officer Bryan Moss heard ThorSport’s last appeal Wednesday.